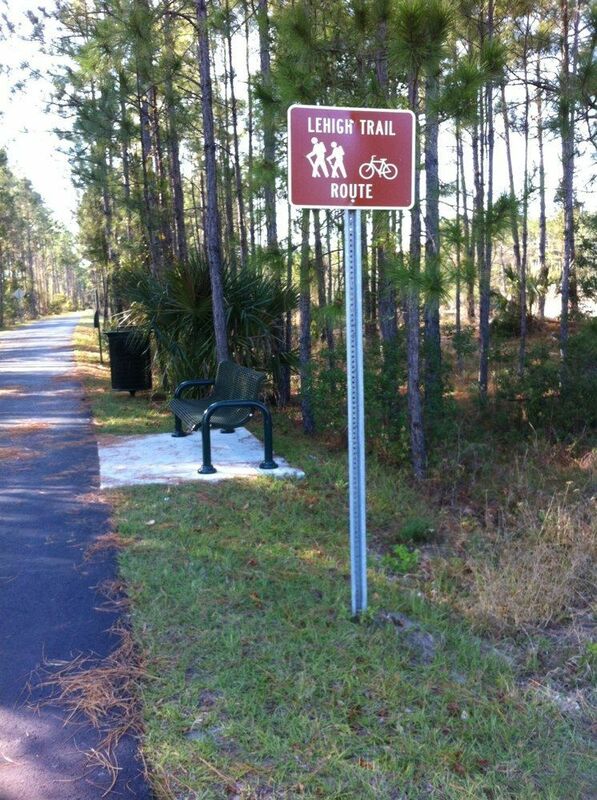 Lehigh Rail Trail is a 13.8 mile lightly trafficked out and back trail located near Flagler Beach, Florida that offers the chance to see wildlife and is good for all skill levels. 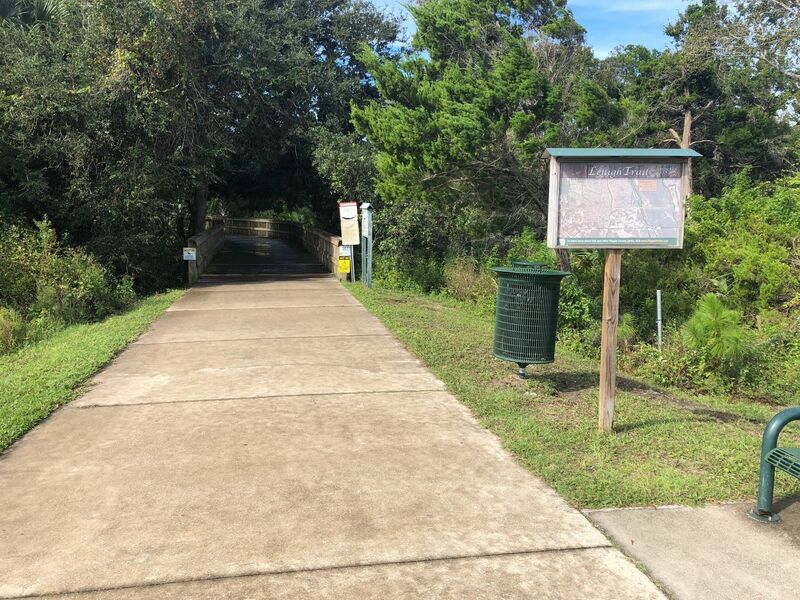 The trail is primarily used for hiking, walking, trail running, and road biking and is accessible year-round. Dogs are also able to use this trail but must be kept on leash. All Decking and Blacktop. 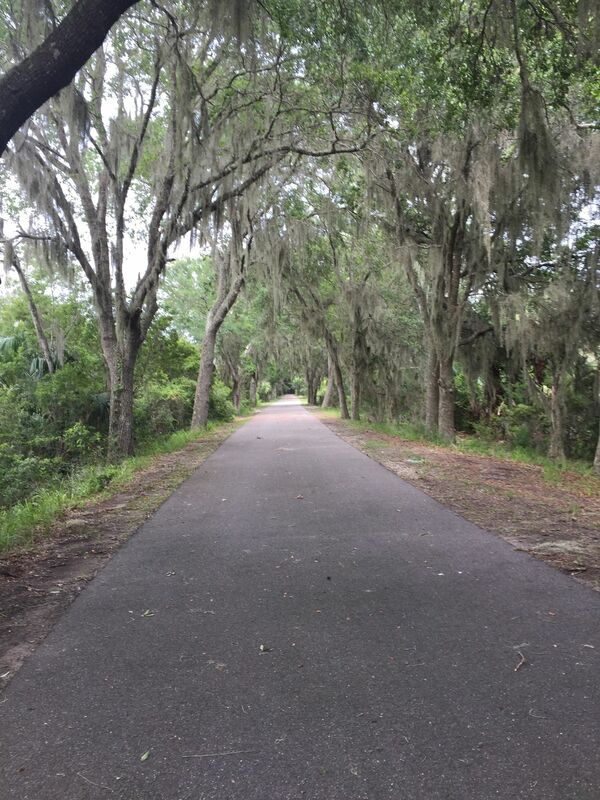 Nice, Flat with plenty of Spanish Moss. Better for bikes or runners. Baby Gator was neat at the end. 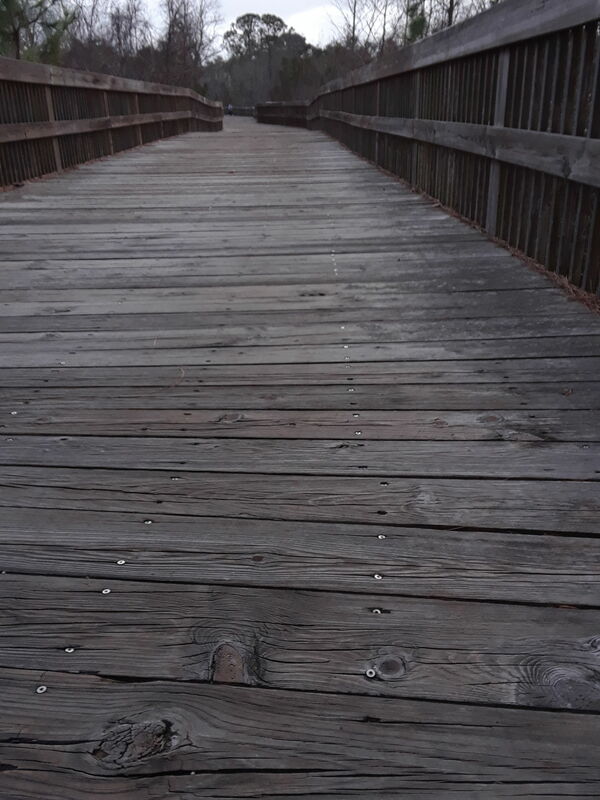 One of our favorite places to walk, skate or bike ride. 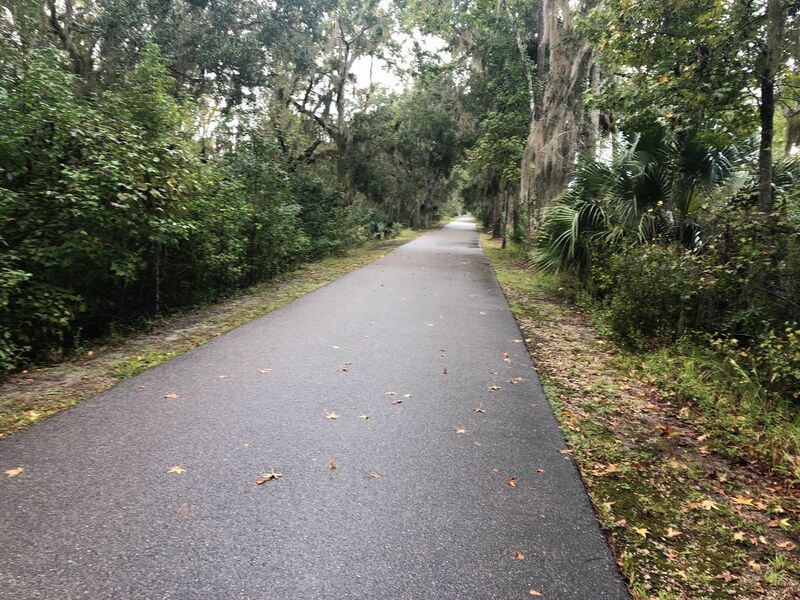 just straight paved trail. kinda boring and homeless people camping out. That's my trail! See you there! This is an awesome rail. It is smooth and paved. It is good for bicyclists, roller bladers, runners, and dog walkers. I parked at the Colbert St. trailhead. The bathrooms were clean, and there was plenty of parking. You have to go down the street a quarter mile to get to the trail. 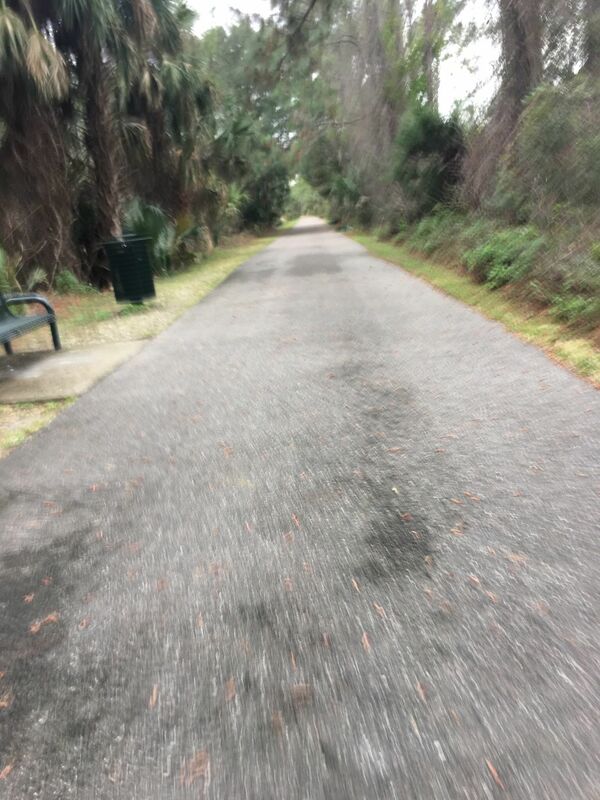 The trail itself was quiet and away from any roads and traffic, minus a couple intersections where the trail crosses roads. The county Sheriff was patrolling on a motorbike, so that added to the feeling of safety. There is shade over almost the whole trail for most of the morning and evening. I would definitely recommend this trail, and I will do it again.